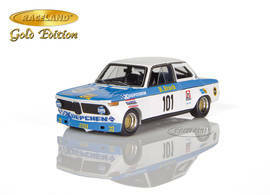 The product "BMW 2002 Koepchen BMW Tuning Solex ADAC 500 km Nürburgring 1971 Hans Joachim Stuck" was successfully added to your wishlist. 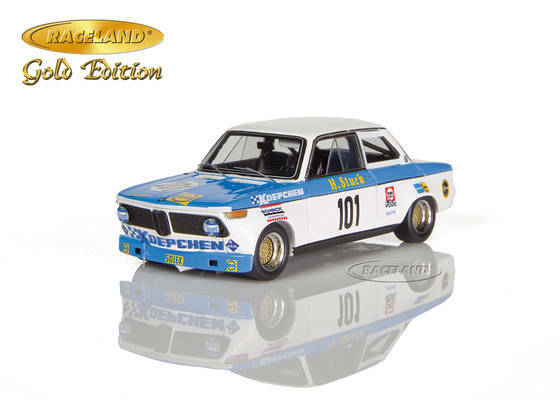 The white and blue colors of Koepchen BMW matched perfectly with young and wild Bavarian racer Hans Joachim Stuck. 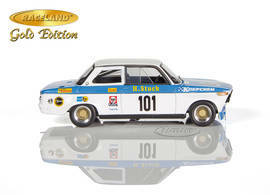 With these cars he gained his first experience at the Nürburgring Nordschleife. Raceland Gold Edition made by Spark 1/43rd scale. 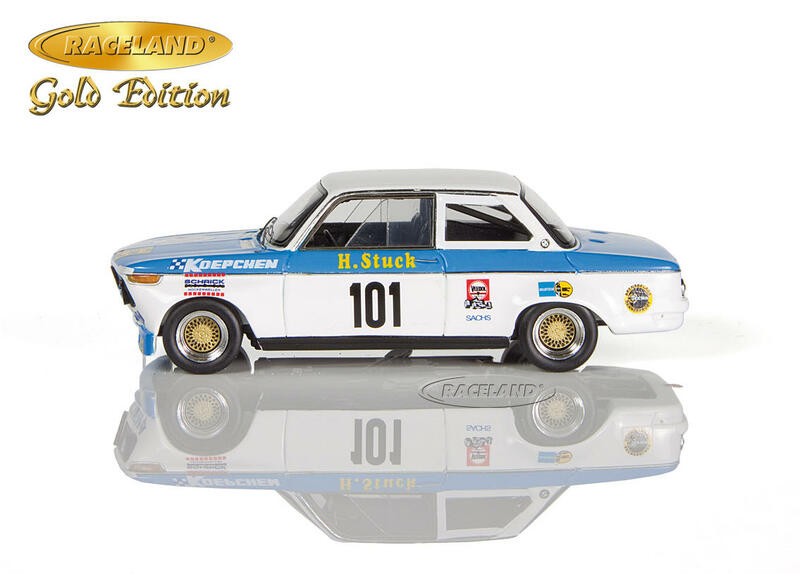 Special limited edition of 300 pieces in special packaging, individually numbered, made exclusively for Raceland. 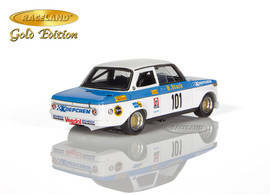 High quality resincast model car with photo etched parts. Model size approximately 10 cm.